10 This is real love—not that we loved God, but that he loved us and sent his Son as a sacrifice to take away our sins. Dear friends, since God loved us that much, we surely ought to love each other. . . .
16 God is love, and all who live in love live in God, and God lives in them. And as we live in God, our love grows more perfect. So we will not be afraid on the day of judgment, but we can face him with confidence because we live like Jesus here in this world. 18 Such love has no fear, because perfect love expels all fear. If we are afraid, it is for fear of punishment, and this shows that we have not fully experienced his perfect love. We love each other because he loved us first. Today we feature a first-time writer here. 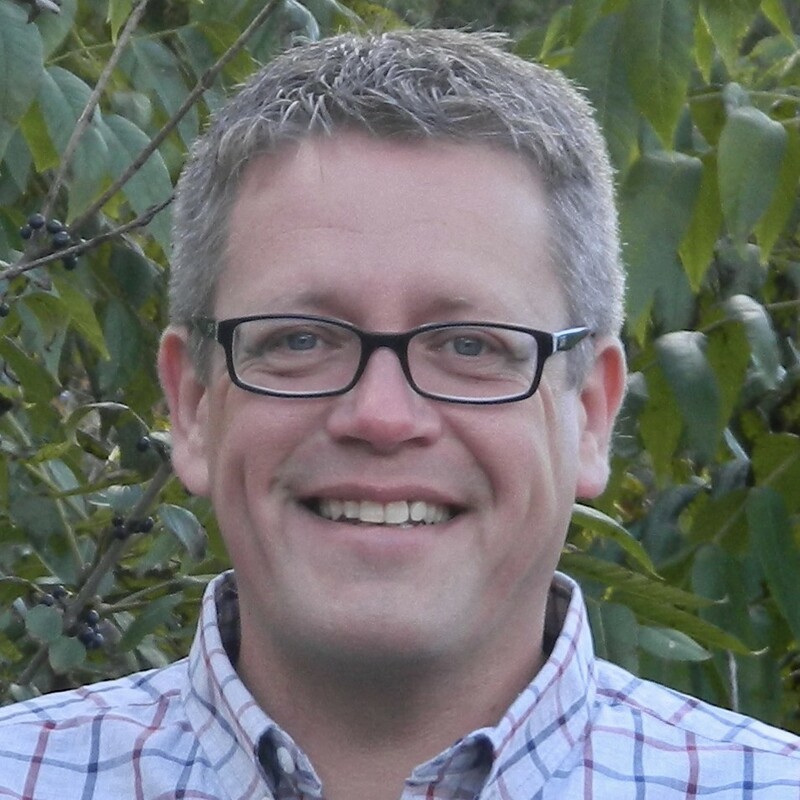 Nick Fisher has been writing at Fuel for Faith since January, 2011. Click the header below to read this at source. 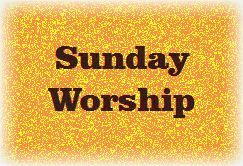 Yet a time is coming and has now come when the true worshipers will worship the Father in Spirit and in truth, for they are the kind of worshipers the Father seeks(John 4:23 NIV). Today is also St. Patrick’s Day. Last year at this time we introduced a new devotional source. First 15 is designed for the first 15 minutes of your day, and can be delivered direct to your phone or tablet. The devotional’s main partners are: All Shores Wesleyan Church, First Baptist Church Universal City and Mississippi College. Each day’s devotional is divided into six parts including a worship music video. The one that follows is also part of a series of articles on God’s Promises. The first time we featured just the text content, but this time around we’re going to give you a fuller experience of how each day is formatted; however please click the link and read there in order to visit other content on the website. Pity vs. Compassion: What’s the Difference? This is actually our fifth time featuring resources from Seedbed, but each of the previous ones was the videos in their Seven Minute Seminary series. This time we join them in print for an excellent devotional by J. D. Walt. Jesus went to a town called Nain. Jesus was not just wandering around the countryside. Every step he made held significance beyond our ability to even comprehend. Everything he did had profound theological significance and yet it all was insanely practical. He turned water into wine, a mystery whose theological meaning we are still discerning. All the while he was solving a major problem at a wedding celebration– the wine ran out. Watch as this same dynamic unfolds in today’s text. So why Nain? Nain was a small town about six miles south of Nazareth in Galilee. We are about to see the clashing of movements. Jesus is followed by his disciples and a large crowd of people as they near the city gate. Just as they arrive, a funeral procession is leaving the city with a large crowd following a widow with her deceased and only son. The movement of Life is meeting up with the movement of death. Imagine the contrast between the joyfully astonished throng following Jesus and the mournfully broken crowd following the widow and the dead son. We are in for a cosmic confrontation. Far from easy sympathy, Jesus had compassion on this woman. I’ve heard charity described as giving someone the shirt you no longer want and compassion as giving someone the shirt off of your back. I love this translation. “His heart went out to her.” When I say, in response to some tragedy, “My heart goes out to them,” what I mean is I feel sorry for them. That’s about it. With Jesus, it’s more like his heart actually leaves his body and enters into the body of another person. This is precisely what God has done in Jesus and continues to do through Jesus in the strength of the Holy Spirit. This is what it means for one person to “be with” another person; to enter into their reality and experience so deeply that their presence cannot be distinguished from your own. In the midst of two large crowds converging at the narrow place of a city gate, Jesus “saw her.” God seeks out the brokenhearted. We know “his heart went out to her” not because he said something nice but because he made a bee line straight to her. He was not at this funeral. He didn’t know these people. He was doing something else entirely, but he went straight to her. So many times I have been in a hospital to see a particular person. As I approach their room I walk past and see so many other people, most of whom are all alone. Something in me says just knock on their door and ask if you can help them, pray for them, get them some water. Too often, though, I reason to myself that I don’t know them, that they have “people”, that it would be an unwanted intrusion to do this and I just go on about my business. In retrospect, I think the Holy Spirit was bursting at the seams to release the heart of God in those hospital rooms but was coming up short on Jesus types to actually do it. Lesson learned. It’s so rare for someone to “be with” us like this. It requires the kind of attention of which only Divine Love is capable and this is the amazing thing about Jesus. He naturalizes Divine Love as a fully human expression. This is how he wants us to “be with” each other and particularly the broken and hurting among us. This is who the Holy Spirit is and what the Holy Spirit does: He naturalizes and normalizes Divine Love in and through our ordinary lives in all our dealings with one another. It’s all at once miraculous and ordinary. And Daily Text readers, this is not just the pastor’s job. This is all of our shared privilege together. I would love to tell you a story about Brother Buddy Ratliff who does this as well as I’ve ever seen it done, and I’d love to tell you a story about a community of Africans who taught me what this kind of “being with others” looks like in the wake of tragic loss. And lo and behold the MIRACLE happened! You see, this widow had not only lost her son, she had essentially lost her life. She was completely disconnected from the community with no source of status or sustenance. She had truly joined the ranks of “the poor.” This act of Jesus giving the boy back to his mother was a profound Gospel move, restoring not only her son but her life as well. Profoundly theological. Insanely practical. Tomorrow, we’ve been invited to join Jesus for a meal in the home of a Pharisee. It will be interesting. Prepare yourself. P.S. Some of you may have felt a little deja vu in today’s text. That wasn’t a glitch in the matrix. Jesus doesn’t miss a trick. To see what I’m talking about check out this Elijah story. Father God, thank you for showing us what it looks like when the movement of Life overcomes the movement of Death. It’s who you are. Lord, I want to be in that number; part of that movement. Open my eyes and my heart and my faith to this awakening movement today. IN Jesus name, Amen. What stands out to you about this story today? Why do you think it stands out to you? What does it awaken in you? Get J. D. Walt’s latest book, THE FIRST REAL CHRISTIAN, or his new church-wide Lenten Study, LISTEN TO HIM. Subscribe to get devotionals like this in your email inbox here. 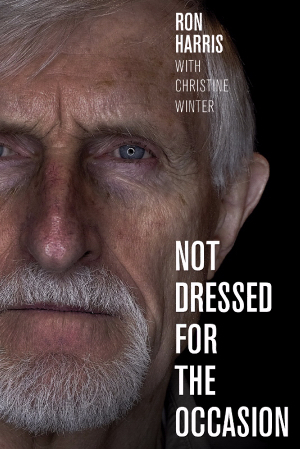 Not Dressed for the Occasion may be ordered wherever you purchase Christian books. It has been said of some new born babies that they are so ugly “only a mother could love them.” That term has become a way of describing many things that appear to be ugly in the eyes of the beholder, particularly human beings. Because my profession is to attempt to create beautiful environments, it is difficult for me to see beauty in things that I know from training and experience is intrinsically ugly. We tend to judge the choices of others stating, “Love is blind” or “I can’t understand what he or she sees in her or him,” while still others say they are deaf, dumb, and stupid. We say the mother is blind because she loves an ugly baby, but I have come to understand that WE ARE THE BLIND ONES because the mother sees a beauty that can only be observed through THE EYES OF LOVE. Love sees with eyes that the natural man cannot understand and can therefore enjoy what others reject as ugly. Because we live in a society that is obsessed with “beauty,” we are blinded to the splendors that only love can see. …I was at an annual conference of the Apostolic Church and a person with a Prophetic ministry came up to me, put both hands either side of my face, stared compassionately into my eyes and said, “God wants you know that He really loves you.” With that he removed his hands and walked away. That encounter changed my view on both God and myself. Like all of us when we look at our lives and see our sins and failures we often despair at ourselves and wonder how could God love us with such faults and failures? Now I know that theologically we can say God sees us through the eyes of Christ because; “God has given me that genuine righteousness which comes from faith in Christ”=[Philippians 3:9 (J.B. PHILLIPS)] but I believe “He really does love us” even with all our quirky personalities. There are no “ugly babies” in God’s eyes because He sees beyond the obvious, loving us just as we are and because He loves us so much He will not leave us in our failure and sin. He sees so much incredible potential in us all, that He will move “heaven and earth” to bring us to the place of change for our full destiny in Him. So, will this love that God has for us motivate us to be changed or will we continue to follow our own ways and never discover the full potential and destiny for our lives? One of the scariest powers we possess is the freedom to choose. We can spit in the face of God, even deny His existence but we do this to our own terrible eternal loss, breaking the heart of a God who has given everything possible to win us with His love. Yes, He will give strength and Grace to change those ugly things of sin in our lives and because He loves us so much He sees beauty where others only see ugliness. If God then shows such love, we can, we must show this same type of love for each other for He has promised; “…God has poured out his love into our hearts by the Holy Spirit, whom he has given us.” [Romans 5:5 (NIV)] As we choose to take that step of faith of loving each other, God’s Spirit is released in us. We can then start to see beauty in each other that the natural eye cannot see. We are not like the scripture that states; “Having eyes do you not see? And having ears, do you not hear?”[Mark 8:18 (NASB)] We are not the blind ones; we now have eyes that see the beauty that only love can see. Today we’re paying a return visit to Dylan Tarpley at the blog One Thing. He’s currently working his way very carefully through Song of Songs, with several blog posts devoted to a single verse. Click the title below to read at source. Growing up in church, I only remember hearing people talk about God as a righteous, angry judge. While this is certainly a part of who He is, that is the only side of Him that I ever knew. This only produced fear, guilt, and shame in my heart. No matter how often I heard about how God was angry with my sin, it never seemed to help me grow out of the sin patterns that were in my life. I just ended up like Adam who tried to cover his sin and hide from the presence of God. For others, God is a distant being that is uninterested and not involved in their lives on earth. He spoke the earth into existence and then sat back as it took its course. In this view, God has no interaction with us on earth. While there are many facets of who God is, I believe that the most paramount way to view God is through the eyes of a bride who is passionately in love with her Bridegroom King. While God may act as a righteous judge who is angry because of sin, He is also a tender Father who longs to walk with us in the cool of the day, just as He did with Adam in the garden. As a young man, I remember being afraid that my dad would get mad at me. This had a measure of impact on the way that I behaved, but for the most part I just kept doing the same things. I would just try to hide it from him. There came a transition though as I grew in maturity to where I was no longer afraid of him being angry with me. Rather, I actually wanted to please him. I wanted to make him proud of the decisions I made. I assure you that one was much easier than the other, and made for a much better relationship between us. I have found this in marriage as well. Your marriage will always be a struggle if you are constantly afraid that your spouse is going to leave you or be angry with you. However, I have found marriage to be easy as long as you are in love. The same is true in our relationship with Jesus. We must mature to a place where our obedience is no longer only motivated by fear, but instead by love. This is the only way to experience true holiness. It’s easy for most people to recognize their affection for God. In one sense, it is easy to love God. He’s holy, He’s perfect, He’s beautiful. What is perhaps more difficult is for people to understand God’s affection towards them. We find this in the beginning of the Song when the Shulamite begins to explain to the Beloved, “I am dark!” This type of thinking has caused many people to reject the love of God in their lives because of a false humility and a faulty way of thinking that says they are dark in the eyes of God. As we watch Jesus prepare for His ministry on earth, there is an interesting transaction that takes place between Him and the Father. In Luke 3, the heavens are opened and the Father declares, “You are my beloved Son; in You I am well pleased.” Even Jesus, the spotless Lamb of God, had to be baptized into beloved identity before operating in the fullness of what was intended for Him. We must begin to ask ourselves, if Jesus needed to receive affirmation from His Father, how badly do we? David modeled this in his life as the man after God’s heart. After living in a compromised state for some time in Ziklag, God delivers David from harm and David’s response is profound. He says in Psalm 18:19, “He delivered me because He delighted in me.” If we are honest, none of us would respond this way. We would put ourselves in some sort of Spiritual time out where we would make ourselves suffer for awhile, beating ourselves up because of our mistakes. Not David though. He was so rooted in beloved identity that even in a season of compromise, He was confident that God delighted in Him. The entire story line of the Bible was built around a Bridegroom preparing a way for His bride. What if I told you that there was more to this journey than only going to heaven, but that Jesus died so that He could marry you here and now? It sounds too good to be true, huh? I agree, and that’s the best part. Dr. Brian Simmons has an interesting commentary on Jesus’ declaration on the cross, “It is finished!” Did you know that it was possible that Jesus actually says, “It is finished, my bride!” Jesus declared that it was the joy set before Him that empowered Him to endure the cross. You were that joy. As He was beaten and tortured, He was filled with the joy of one day being married to you. 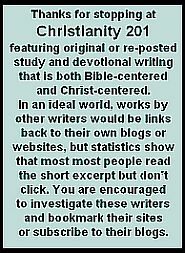 Editor’s Note: Some of you know I like to cut to the chase here and don’t like devotional studies which begin with a long set-up or illustration. In this case however, the song which Clarke begins by quoting echoes the view of many people, especially in a world where some people know all they think they know from popular music. You probably know people who subscribe to the view expressed in the lyrics. So with Clarke away this week, I chose this particular devotional from his personal archives, which appears here for the first time. Now there is wishful thinking and I suspect there are many who wishfully are thinking this. It seems God our Heavenly Father has been replaced by God our heavenly great-grandfather, whose eyesight is failing, and who cannot tell what the great-grandchildren are up to because their lives are so far removed from his. But they can always depend on him for unconditional love and a hug. Methinks this is how some people want to see God, or better, how they want God to see them;from a distance. The story of the flood in Genesis teaches us some valuable lessons, most of which many would rather not learn. Sin and violence does not escape the notice of God. I was and am blessed by a mother who knows her Bible. The Biblical truth most quoted my Mum as I was growing up? “Be sure your sin will find you out.” Good to know and too bad more don’t know it. God owes us nothing. All human living is lived in a time and as a result of God’s grace and mercy. We live because God withholds His just judgement. God does not owe us another day, nor an hour, nor even a second. Each breath, each heartbeat is a sign of God’s grace. It is not owed to you. Eternal life in Jesus is grace and mercy taken to the extreme. That is not owed to you either. Some may object that here we find the God of the Old Testament and that now we should focus on the God of the New Testament, as if God’s eyes are now failing and He is watching us from a distance today. Sorry, God does not change. Here we might consider the rainbow which is very interesting in what we learn from it. Most of us think of it as a reminder to us that God will keep his covenant promise to never again send a flood like he did. This is correct, but in fact we find that twice it is emphasized as a reminder to God! Do we grasp the implication of this? No, it does not point to God’s memory as if it could fail any more than his sight. It points to the fact that from the flood on God still sees the sin and violence of the world, it still grieves him, and he would still be right to just put a sudden stop to it. What is stopping God from doing so is not that he is watching us from a distance as some sort of cosmic great-grandfather who isn’t really seeing what is going on, but because he is watching us with the heart of a father, full of love and grace, bound by a father’s promise. Of course he is not a human father that he might fail, he is God that he shall follow through. God is watching us closely, but his eyes are full of love. Six months ago I remember being struck by the quality of writing of Sarah Jo who writes at Blind Insanity. Yesterday I returned there and read several articles. I kept coming back to this one. Click the title to read at source, and then take a few minutes to pick another item or two read and enjoy. For most of my young adult life, I lived in a bedroom with two big windows; one looking to the east, where a big bush blocked most of the light and the view, and another looking to the south, toward an open field. On beautiful days, I would sit outside my south window, and look out on the beautiful world God had made. From that vantage point, there seemed to be nothing wrong with the world. I could sing, write, read, cry, and just rest in the presence of Jesus… But it’s been a long time since I had Jesus-time there, and the view from my current window is a lot less beautiful, yet I know this is exactly where God wants me to be. There is a beauty that does not rest in open fields or peaceful days. There is a beauty that abides, steadfast, like an ancient mountain or a deep, God-made lake. Though many years of storms, droughts, and any number of natural disasters may seek to overcome those forces of nature, yet they remain. Just like those physical things, the love and grace that comes from Jesus is not shaken by any circumstance or state of existence. He is the Master of the storms and an anchor in the midst of them, and when I feel stuck, He is the wind in my sails. The view from my window will change, but my Savior never does. The same God that met me by the south field meets me in my office, in my living room, or in one of the many parks I frequent. I saw the light touch my hands, and noticed my office brighten, and then I looked up through my window and noticed a patch of blue sky just below a sun that was no longer hidden (except for being hidden by a blind). It was like God was saying, “You have no idea what beauty is. You pretend to know, and You have even thanked me for beautiful things, but let Me remind You that beauty is found in Me, and not in what your eyes can see. It’s amazing what happens when the light shines in. There are a lot of people living in dark rooms, and they think God isn’t there, or that He can’t reach them there. But, oh, how little they know. Right now, the world is enshrouded in shadows, but that does not mean the Light has not come or is not present. If our eyes can recognize earthly beauty, how much more beautiful is the Creator of that beauty? It doesn’t matter how dark or dirty this world becomes, because the One Who made it, and breathed it into life, did not make a mistake by making it. He made the world and humankind to be good, perfect, and holy. The first created man and woman walked with Jesus, unashamed, but they chose to disobey the one command He gave. They traded in perfection and holiness for sweat, hard work, and death. It was a choice they made. Adam and Eve said, “Yes,” to the darkness, and then they only wanted to hide in shame. But Jesus, in tender love and mercy, called out to them. He knew where they were and He knew what they had done, but He wanted them to join Him, tell Him what they had done, and find their hope in Him. That same choice is laid before every human being; whether to say, “Yes” or “No” to the darkness. Unfortunately, a lot of people have chosen to say, “Yes,” and the evidence of that is in every tainted thing. But beauty still abides. Jesus, the Savior of the world, lives. He knocks on the door of every heart, but there are some who get stuck at the window. They don’t want to believe that the Son is just outside their cages of sin. They don’t want the sun to peak through the clouds and reveal the ugliness of the world they are wallowing in. But it is so much better to abide in God’s fold, to eat at His table, and to have the amazing gift to see the world as it will be when Jesus comes again. In that beautiful and terrible day, every wall and window will be stripped away, Jesus will shine through the clouds, and the whole world will see His glory. Dear Jesus, I know You see the souls that are enshrouded in darkness. Please step in and deliver them. Set them free and may their eyes be blessed to see Your goodness and beauty in the land of the living. Amen. Today, something completely different: I’ve copied and paraphrased and updated notes on the passage from Alexander MacLaren’s Exposition of Holy Scripture as found at this website. I’ve tried to make minimal changes in the flow (except where noted) except for changes in vocabulary, formatting and paragraphing. This is a special case of a man who appears to have fully discerned the spirituality and inwardness of law, and to have felt that the one bond between God and man was love. He needed only to have followed out the former thought to have been smitten by the conviction of his own sinfulness, and to have reflected on the latter to have discovered that he needed some one who could certify and commend God’s love to him, and thereby to kindle his to God. Christ recognizes such beginnings and encourages him to persevere: but warns him against the danger of supposing himself in the kingdom, and against the prolongation of what is only good as a transition state. This Scribe in this story is an interesting study as being one who recognized the Law in its spiritual meaning, in opposition to forms and ceremonies. His intellectual convictions needed to be led on from recognition of the spirituality of the Law to recognition of his own failures. ‘By law is the knowledge of sin.’ His intellectual convictions needed to pass over into and influence his heart and life. He recognized true piety, and was earnestly striving after it, but entrance into the kingdom is by faith in the Saviour, who is ‘the Way.’ So Jesus’ praise of him is but measured. For in him there was separation between knowing and doing. Christ’s kingdom is near us all, whether we are heathen, infidel, profligate or not. The place or standard where you draw the line between those in the Kingdom and those outside it. This Scribe was near, and yet not in, the kingdom, because, like so many in all ages, he had an intellectual hold of principles which he had never followed out to their intellectual issues, nor ever enthroned as, in their practical issues, the guides of his life. How constantly we find characters of similar incompleteness among ourselves! 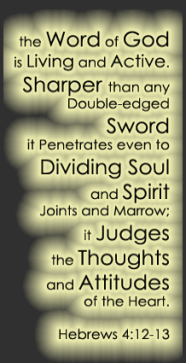 How many of us have true thoughts concerning God’s law and what it requires, which ought, in all reason, to have brought us to the consciousness of our own sin, and yet are untouched by one pang of penitence! How many of us have lying in our heads, like disused furniture in a lumber-room, what we suppose to be personal beliefs, which only need to be followed out to their conclusion to refurnish with a new equipment the whole of our religious thinking! How few of us do really take pains to bring our beliefs into clear sunlight, and to follow them wherever they lead us! There is no error more common, and no greater foe, than the hazy, lazy half-belief, of which the individual neither knows the basics nor perceives the intellectual or practical issues. The reason is not because of anything apart from themselves. The Christian gospel offers immediate entrance into the Kingdom, and all the gifts which its King can bestow, to all and every one who will. So that the sole cause of any man’s non-entrance lies with himself. We have spoken of failure to follow out truths partially grasped, and that constitutes a reason which affects the intellect mainly, and plays its part in keeping men out of the Kingdom. But there are other, perhaps more common, reasons, which intervene to prevent convictions being followed out into their properly consequent acts. Lingering love of the world. III. Such people cannot continue near. The state is necessarily transitional. The habit of lingering, procrastinating, or being undecided strengthens over time. You’ve heard of ‘Cities of refuge.’ It was of no avail to have been near. One needed to stive to enter in. If you know someone who is in this in-between, transitional stage; appeal to them to cross the line of faith. A few months ago we introduced you to a new source of devotional material. First 15 is designed for the first 15 minutes of your day, and can be delivered direct to your phone or tablet. The devotional’s main partners are: All Shores Wesleyan Church, First Baptist Church Universal City and Mississippi College. Each day’s devotional is divided into six parts including a worship music video. The one that follows is kicking off a series for this week on the nearness of God and our awareness of his presence. We’re featuring just the text content, so you’re strongly encouraged to click the title below for the full experience. I used to view my relationship with God as a straight line of spiritual progress. My goal in spending time in the secret place with fellow believers at church and at work was to try and make the movement across this line of spiritual growth as quickly and painlessly as possible. I would get frustrated any time I got hung up on some issue or sin and couldn’t experience freedom quickly enough. My time spent with Jesus was more about how he could change me than how deeply he already loves me. We unfortunately live in a day and age where speed and progress is everything. We lose our patience as soon as a waiter takes too long to get us our check, a light takes an extra thirty seconds than we want it to, a driver holds us back five minutes from our destination, or a conversation interrupts the jam-packed schedule of our day. And painfully, we have allowed our culture to shape our perspective of God’s heart for us rather than allowing his word and Spirit to reveal how incredibly patient he is. 1 Corinthians 13:4-7 says, “Love is patient and kind; love does not envy or boast; it is not arrogant or rude. It does not insist on its own way; it is not irritable or resentful; it does not rejoice at wrongdoing, but rejoices with the truth. Love bears all things, believes all things, hopes all things, endures all things.” Every one of these aspects of love finds its perfect fulfillment in the heart of our Father. Our God is patient and kind. He bears our imperfections with love and grace, believes wholeheartedly in us, is filled with hope over who we are, and joyfully endures our process of sanctification. You see, our heavenly Father cares deeply about you presently. He isn’t waiting until you get a little holier to pour out the full depths of his love and joy over you. He isn’t holding back the satisfaction he feels in simply living in relationship with you until you finally get over a certain sin. He loves and longs for unveiled communion with you right now. If we wait until we have it all together to settle into the pace of this life, find peace, and fully enjoy God, we will never experience the wealth of abundant life available to us this side of heaven. Matthew 6:34 says, “Therefore do not be anxious about tomorrow, for tomorrow will be anxious for itself. Sufficient for the day is its own trouble.” Have patience for yourself and others the way your heavenly Father does. Take time to receive his perfect perspective for today. Give your relationship with him all the energy you have and waste nothing on the frivolous cares of tomorrow. Take time in guided prayer to allow your Father to overwhelm you with the love he feels for you right now, as you are. Experience today the peace and joy that can only be found when you surrender the entirety of your life, spiritual development, and future plans to your faithful Shepherd and simply follow him to green pastures and still waters. He promises there will be more green pastures tomorrow. He promises to guide you faithfully every day to the fullness of life he died to give you. Your only job as his sheep is to trust him, let him love and care for you, and follow his perfect leadership. May you drink deeply of the living waters of God’s love today as you rest in the presence of your loving Shepherd. 1. Meditate on God’s patience and love for you in the present. Allow Scripture to guide you to a desire to encounter God fully and openly just as you are. 2. What burden are you carrying that is grounded in the future instead of the present? What are you striving toward that is not found in the green pastures Jesus desires to lead you to today? 3. 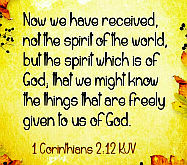 Ask the Holy Spirit to guide you into a lifestyle of living presently. Ask him what it looks like to cast off fear over tomorrow and experience the abundant life meant for you in the present. Take time to rest in the presence of God and discover his patience over you. Your heavenly Father is most definitely molding and shaping you to look more like Jesus through a process of spiritual development. He has perfect plans for your sanctification that you might have a greater sense of his love at the end of every day. But that process is defined by daily living in the present and engaging with him fully in each moment. Leave the planning and leadership up to him, and simply follow him to green pastures and still waters every day. Seek relationship with him and allow daily, consistent encounters with him to mold and fashion you into a greater reflection of your Good Shepherd. May you find peace, joy, and patience by living in the present today. This is our first time at a blog with a whimsical title, Through the Bible in who knows how many days. Although this article is 6 years old, the blog is still being updated. Click the title below to read at source. This is definitely one of the more bizarre stories we see in scripture, God telling Hosea, one of his prophets to get married to a woman that would be unfaithful to him. As this story takes place, Jeroboam II is still on the throne in Israel, as is Uzziah in Judah. Hosea was primarily a prophet to Israel, but he had his words for Judah as well. And in this time of material prosperity, there was definitely a spiritual problem. The people were being unfaithful to God, following other idols, namely Baal. And thus, the object lesson of Hosea to the nation. Hosea marries this woman Gomer, and she soon bears him a son that God says to call Jezreel. God told him to do so because of the massacre at Jezreel where Jehu went far beyond the words of God in committing bloodshed. And so God was saying that judgment was coming upon the house of Jehu and upon Israel. The picture couldn’t be clearer. Hosea must have had a tough time loving these children that was not his, and could not call either child his own. 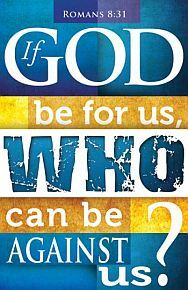 In the same way, because of Israel’s unfaithfulness to God, God could not call them his loved ones or his children. Instead, he would reject them and cause them to fall as a kingdom. And yet even in the midst of this, God makes clear that this punishment would not last forever. That the day would come when he would call them his people and his sons once again, and would restore them. But in chapter 2, he rebukes Israel for its unfaithfulness. The people didn’t realize that all their blessings came not from the gods they were following, but from God. And so God said the day was coming when he would cut off their blessings, and that he would strip them naked of every good thing. Though they would pursue pleasure and happiness, they would not be able to find them. The only thing they’d be able to find was shame. And eventually, the time would come when they would be so desperate that they would have no choice but to return to God. I will make the valley of trouble (Achor) a door of hope. There she will sing as in the days of her youth, as in the day she came up out of Egypt. “I will betroth you to me forever. I will show my love to the one I called, ‘Not my loved one’. And to firmly imprint all of this in the minds of Israel, he told Hosea in chapter 3, to show his love to his wife once more, to buy her back from the one she was enslaved to, and to restore her to her position as his wife once again. What does this mean for us? No matter how far away we fall away from him, God still loves us and pursues us. He may discipline us. He may allow bad things to happen to us as a consequence for our sin. But his main goal is to restore us. And all he does is out of his love and faithfulness towards us. So as Hosea told his wife, let us not prostitute ourselves any longer to the world or the things in the world. Rather let us return to him and be faithful to the God who is faithful to us, and who loved us enough to redeem us by Christ’s death on the cross.